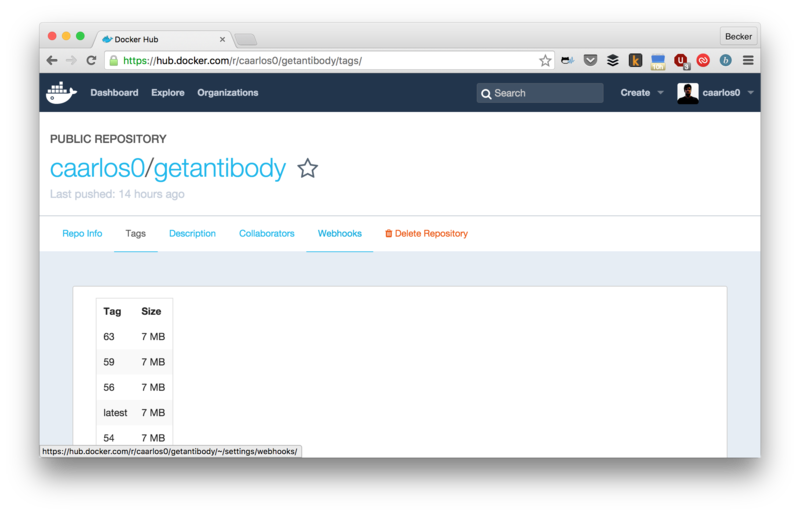 This is just a quick overview of how I did it in antibody’s homepage. 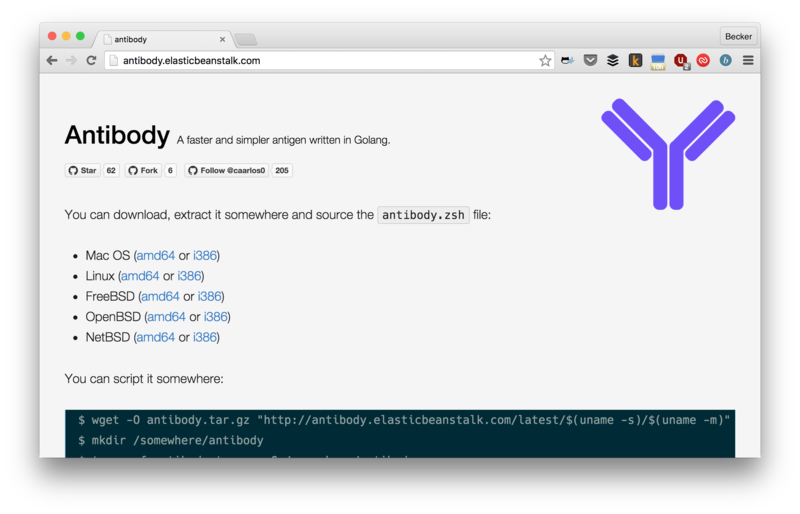 The site has a very simple index.html plus a service that can discover and download the latest antibody version from GitHub releases. Not sure how relevant this is, but the service is written in Go. 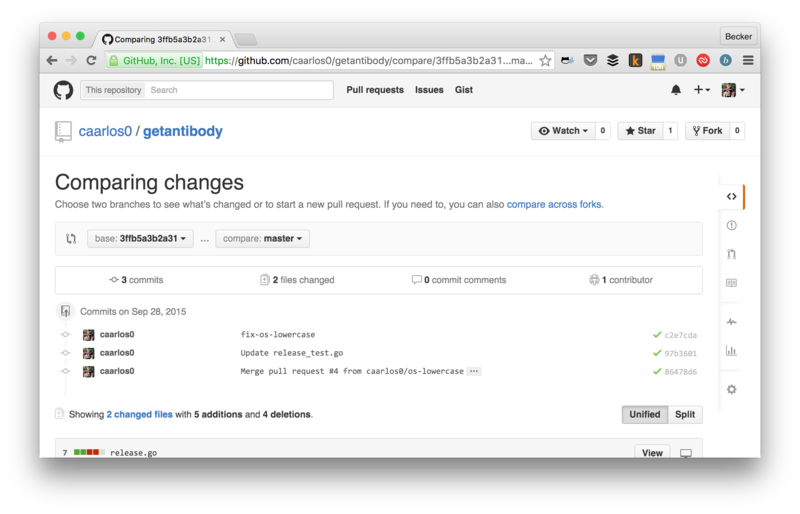 Currently, every commit pushed to the master branch of the site repo will be automatically pushed to production. There is no option to skip that. 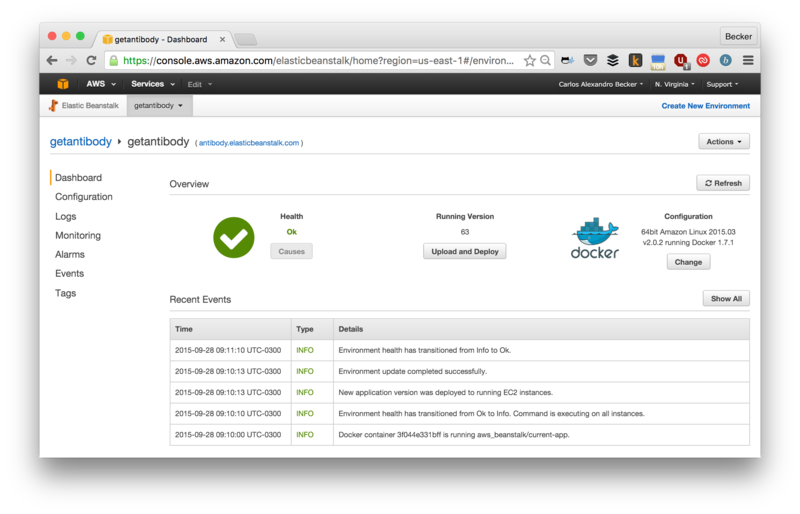 Let’s see how this can be done using GitHub, CircleCI, Docker and Amazon ElasticBeanstalk. As you can see, I get all dependencies, do what I need with them and clean it up, in one single step, just to ensure that the image will be as small as it can, currently, around 20Mb. Nothing extraordinary here, I just expose the port 3000 and set the image name, which has a %BUILD_NUM% expression in it… but I’ll explain that later. I put this file inside a .deploy folder. The only thing in that folder is this single file, because awsebcli zips and uploads everything inside the folder you are when you run eb deploy, and we need just that one file. deploy the image to Beanstalk. - docker login -e "$DOCKER_EMAIL" -u "$DOCKER_USER" -p "$DOCKER_PASS"
- docker build -t "caarlos0/getantibody:$CIRCLE_BUILD_NUM" . The most interesting part here surely is the deployment section. 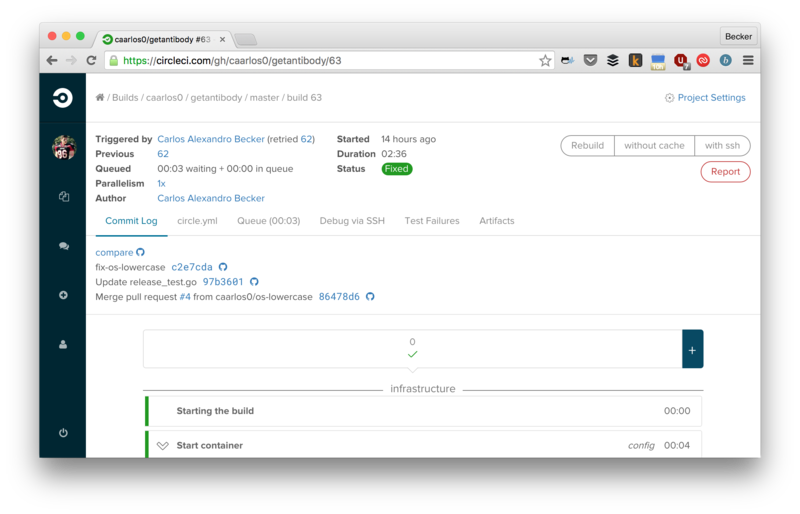 The DOCKER_* environment variables are configured in the CircleCI panel, and are used to login to Docker Hub. The CIRCLE_BUILD_NUM environment variable is provided by CircleCI itself and is used to tag the image and build (more on that later). You can also see there the sed expression that replaces the %BUILD_NUM% expression by the CIRCLE_BUILD_NUM variable inside Dockerrun.aws.json, so that way we link the Beanstalk deploy version with the Docker image tag. So, what’s new on build x? I tag the image and the deployment with the CircleCI build number, so I can track down which commits are in production, just by looking at the tag names. Isn’t that great? You can track down a version deployed in production directly to the source code that was introduced with it. Since the Docker image config is in the repo too, we can also kind of track infrastructure changes! I know, it is a very simple workflow and might not work for everyone, but it is simple enough so you can basically copy-paste on your own pet project and try it! BTW: I’m using AWS free tier for the app, so, yup, it’s free… at least for now. Last but not least, you can see the entire source code here.